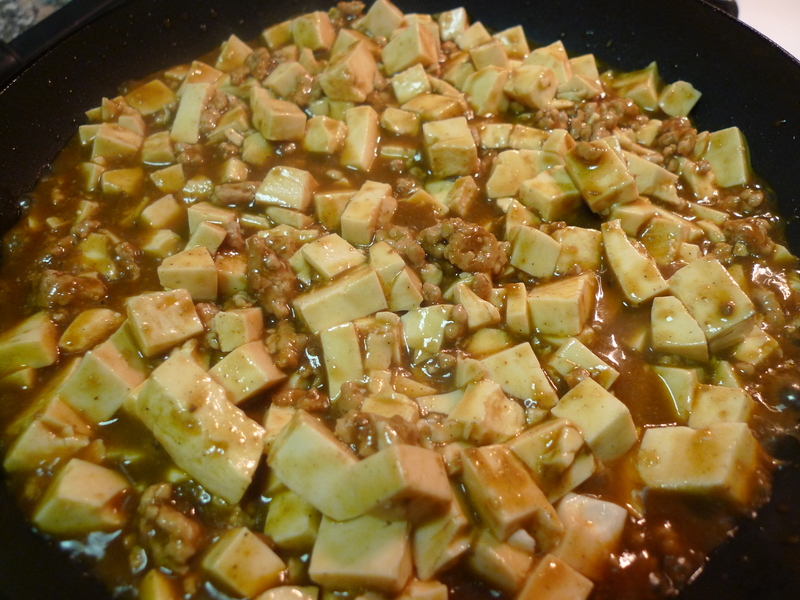 Mabo Tofu (or Mapo Doufu) is a popular Chinese dish that originated from the Szechuan province. The dish consists of tofu set in a spicy chili and bean-based sauce that is mixed with minced meat, usually pork or beef. The original Szechuan recipe is made to be powerfully spicy, although in America, the dish’s heat has been considerably toned down to appeal to a wider consumer base (aka me). Despite the westernizing, the remaining result is still a wonderfully aromatic, soft-textured dish with a great combination of spicy flavors. I especially love how this dish somewhat deludes me into thinking that the healthiness of the tofu will cancel out the fattiness of pork. The ratio is 2:1! When I first made Chinese Mabo Tofu, I went the “Easy Mac” route. 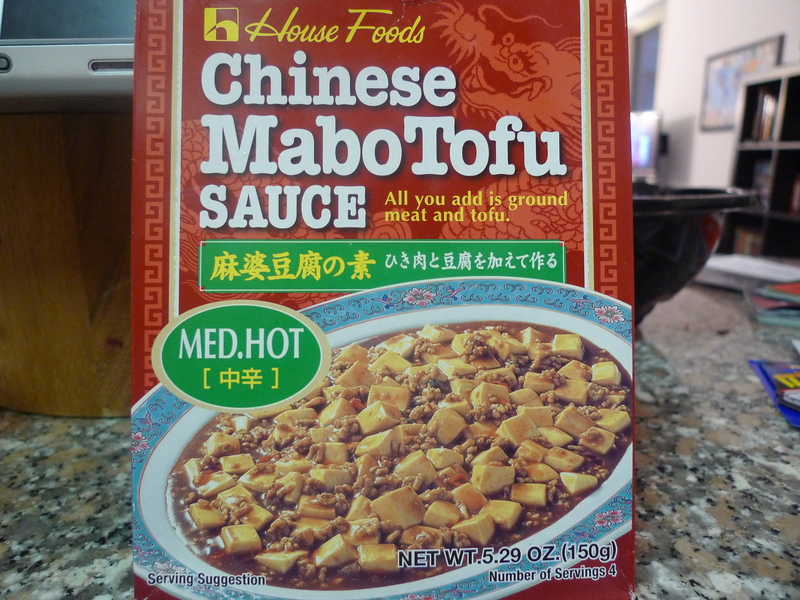 Premade Mabo Tofu sauce can be found in any Chinese grocery store. 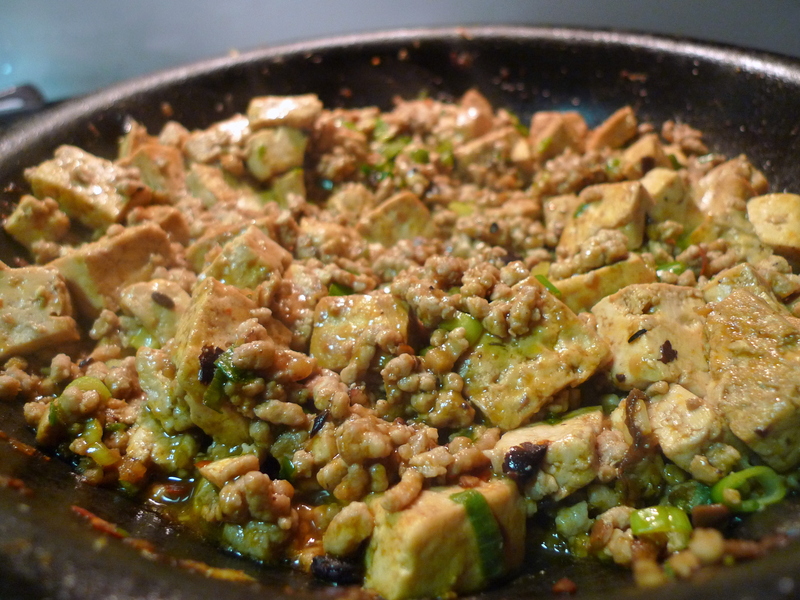 All you have to do is add ground meat and tofu and TA DA — instant mabo tofu! It will take you 10 minutes maximum, unless you have trouble opening the box or something equally sad. I highly recommend using silken tofu if you are making the dish this way. The premade stuff is absolutely delicious, but we all know the alluring power of MSG. I decided to be more adventurous and make the sauce from scratch, which still took only 15-20 minutes to cook. The main flavor of the sauce is derived from Dou ban jiang (or Toban Djan), which is a spicy, salty paste made from fermented broad beans, soybeans, salt, rice, and various spices. 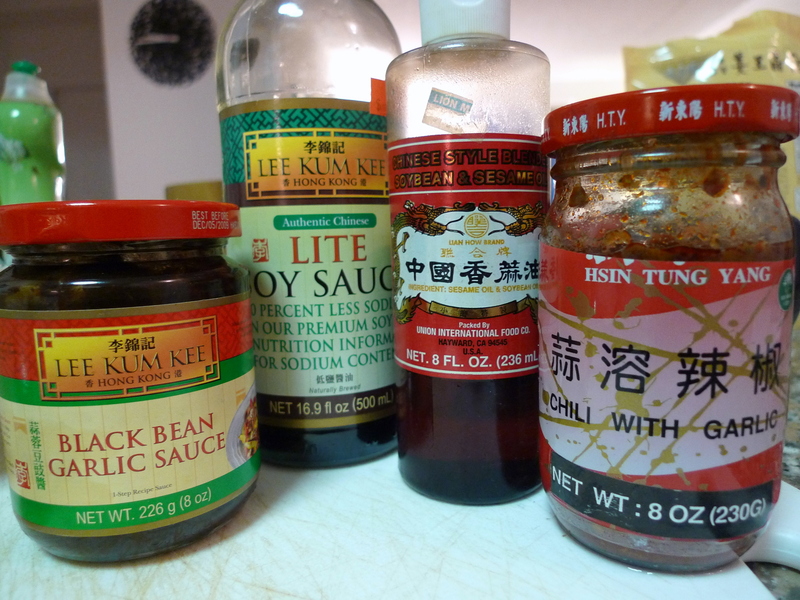 It can be found in Chinese groceries, usually labeled as “Chili Bean Paste.” I did not actually have any in my cupboard, but I did have Black Bean sauce and Chili Garlic sauce, and combined the sauces essentially constitute Chili Bean Paste. 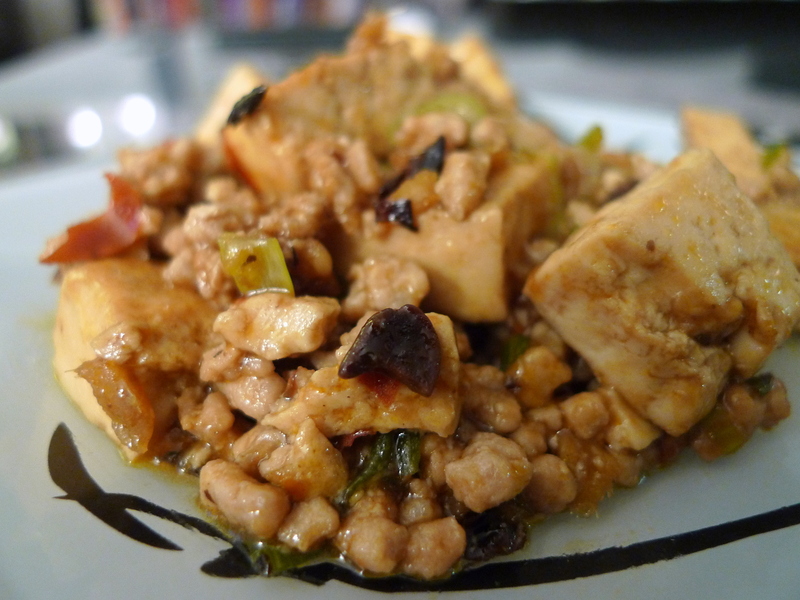 When it comes to choosing tofu types, I love silken tofu best with this dish. The silken tofu is so soft and tender, and it just melts in your mouth. 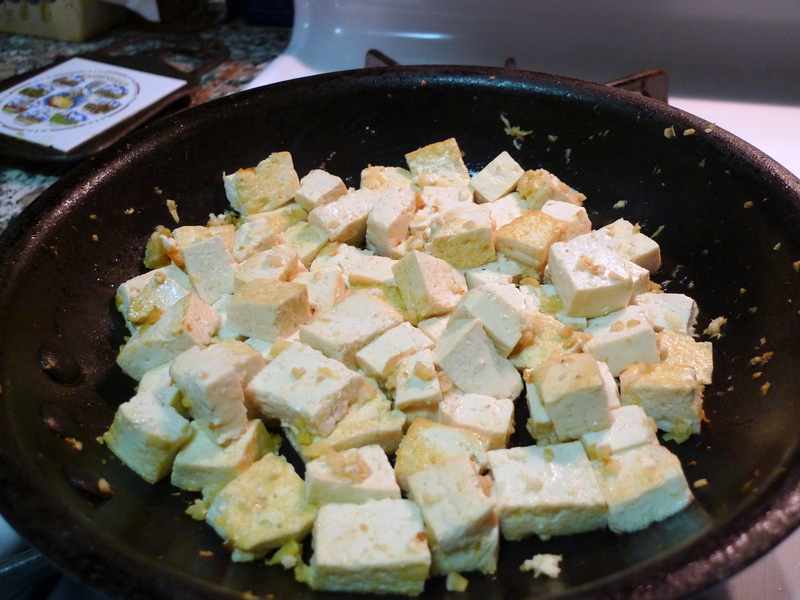 However, firm tofu is much easier to work with when it comes to stir-frying, so I had to pick my battle. 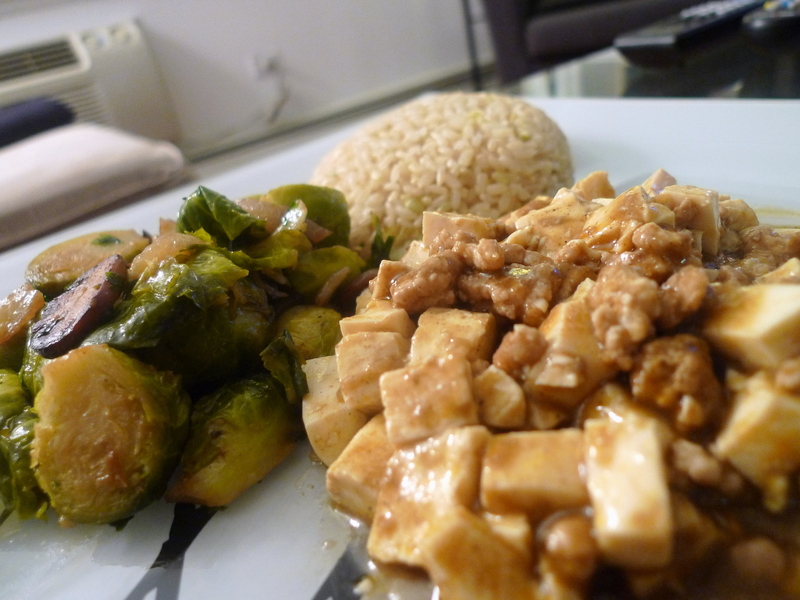 I used firm tofu in the recipe below, which still turned out delicious but I let it cook for a while to tenderize. 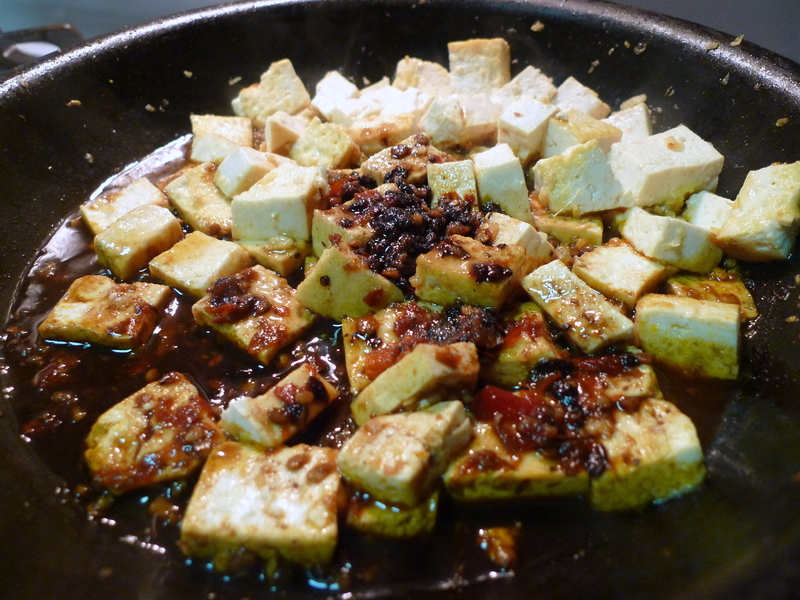 If you use silken tofu, make sure to add it AFTER you have already thickened the sauce. Don’t try to stir-fry silken tofu or else it will break up and become mush. Also, I would avoid extra firm tofu. 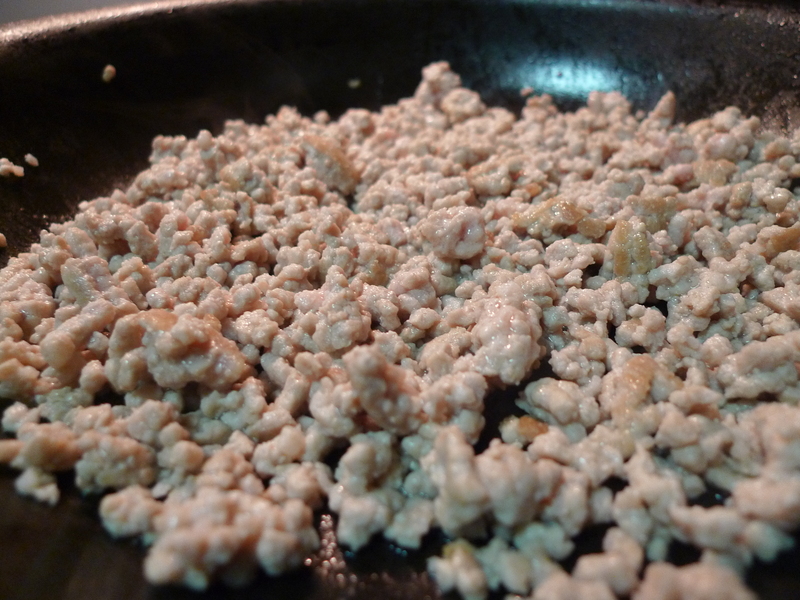 Brown ground pork in a small skillet over medium high heat. Drain fat. For the sauce: combine the soy sauce, chili bean sauce, and sugar in the skillet and stir. Stir in the cooked pork and scallions. Remove from heat and enjoy with rice! Also, try serving this with Brussel Sprouts and Mushrooms or maybe some Bok Choy stir-fry.